You are here: Home / Education / What is a Clean Room and What is It Used For? What is a Clean Room and What is It Used For? As technology is pushing boundaries in every way, everything is getting conceptually and literally much much smaller. If you’re looking to do work that’s sensitive and requires you to control every element, then you need to have a clean room at your facility. A clean room allows you to have all the control you need for handling volatile or important elements. Here are three industries where clean rooms are a must. If you’ve ever seen the way that pharmaceuticals are made, you’d know that they’re carefully managed and measured to get the right balance. The way our bodies handle a dosage of a given drug has a lot to do with how it’s been handled. If anything contaminates the space where you’re handling drugs, the whole balance could be upset. Any change in the chemistry of a drug could turn it into something dangerous or toxic. It’s important that you carefully measure and safely combine elements in pharmaceuticals in order to maintain their safety. Drugs and medication that are produced in situations that aren’t fully clean and controlled could end up hurting someone. If you’re running an engineering firm or building any kind of modern technology, you’ll find that clean rooms are the key to producing good work. Since electronics are getting ever smaller by the day, there are ever more ways for them to be disrupted. Even the smallest drop of moisture in the air could short your circuits and lead to serious problems. If you’re producing circuits or technology, you need the help of clean rooms to ensure nothing comes in to disrupt your work. Even a piece of dust that gets beneath the contact point where a capacitor is supposed to be stuck could upset things. People who build these circuits need clean environments to build, to work, and to focus on the sensitive work they do. When dealing with new biological forms or unknown organisms, it’s vital to have a space to work where nothing could interfere. When new diseases are found or new one-celled organisms are being tested, it’s vital for everything to be controlled. In the absence of a clean room, you won’t be able to get repeatable test results. When you don’t control for everything, from temperature to air quality, you can’t know whether or not your test results have any value. If you want to ensure that you have the authority you need when you complete any work in the field of biology, get yourself a clean room. Make sure you’ve always got cleanroom supplies on hand when you need them as well. No matter what industry you’re in, there’s a place for a clean room. 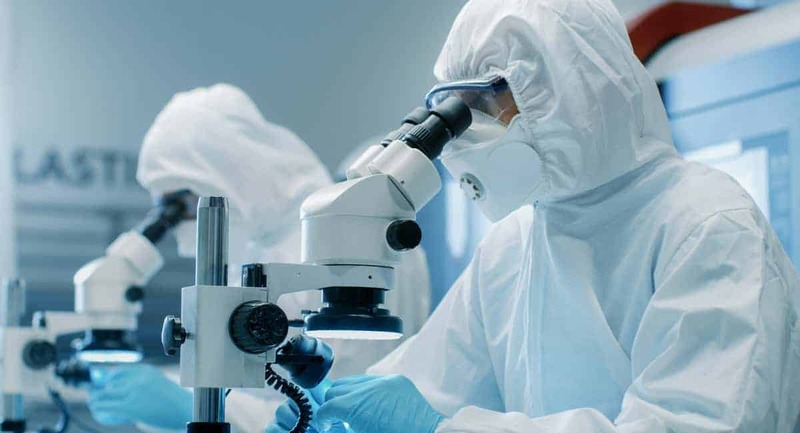 Any time that you need to carefully manage the things that you produce or to investigate the details of a small product, clean rooms come in handy. For the way small technology is helping big projects, check out our guide for details.